Protect your horse's skin when exposed to the wet and mud with this rich, nourishing barrier cream. Wash legs off thoroughly and apply before turnout. Contains MSM to support healthy skin and hair growth, and rosemary to soothe sore areas. By improving the diet we can support the horse's own natural defenses. Specifically formulated to help the horse fight unpleasant spring and summer skin conditions, Love the SKIN he’s in D-Itch Supplement provides a unique blend of scientifically verified, naturally sourced antioxidants to efficiently flush out the build up of free radicals associated with itchy irritated skin. Feed whenever for summer seasonal skin stress. Ideally introduce in spring prior to insect menace build-up. Introduce gradually for fussy feeders. * Repeat loading rate as necessary. When exposed to wet muddy conditions, some horses can be affected by soil dwelling bacteria that gain access into the skin when weakened by the external conditions. By improving the diet we can help the horse to strengthen his skin from the inside out. Mud Gard contains a unique complex of scientifically verified, naturally sourced antioxidants to flush excess free radicals away from the areas affected by the ravages of the mud. It also contains key herbs and other nutrients, including MSM, to support strong healthy skin from within. Wheat protein, Apiculture by-product (bee pollen). Contains MSM and Aloe Vera to soothe flaky areas, rashes and minor abrasions. Hot towel wash: Perfect for a deep clean, or following clipping. Mix 1 capful in 5L of hot water (not boiling). Soak NAF Deep Cleansing Towel in water and wring out until just damp. Use a circular motion to work firmly into the coat. Cool wash: Cleansing and refreshing after exercise. Recommended to support healthy skin especially when challenged by seasonal reactions. Mix 2 capfuls in 10L of cold water and use to wash the horse down using a sponge. Remove excess with a sweat scraper. Concentrated wash: Use undiluted for stubborn areas or specific lumps. Pour Skin Wash onto a sponge or cloth and apply directly to affected area. 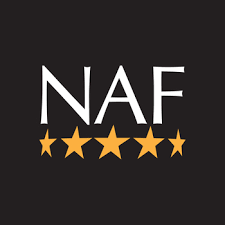 For best results use NAF Deep Cleansing Towel. Leave to dry. Water, Aloe Vera oil, Teatree oil, Confidential ingredient (Non-hazardous), MSM, Vitamin C, Isopropanol, Polyproylene glycol. When to use: Following midge bites or any signs of seasonal skin challenge. May be used over minor wounds.